The City of Portland is working on a bike-sharing/rental system. The system will put card-activated rental bikes in kiosks downtown. Read all our special coverage on this story below. Posted on April 19th, 2019 at 7:12 am. Posted on March 29th, 2019 at 11:19 am. So far, Biketown hasn’t turned out to be the ubiquitous presence or dominant travel mode I hoped it would be. Instead it’s a (mostly) reliable, well-run, affordable and accessible transportation option for people who need it most. That’s what I came away thinking after I read the 2018 Biketown Annual Report (PDF) recently adopted by Portland City Council. 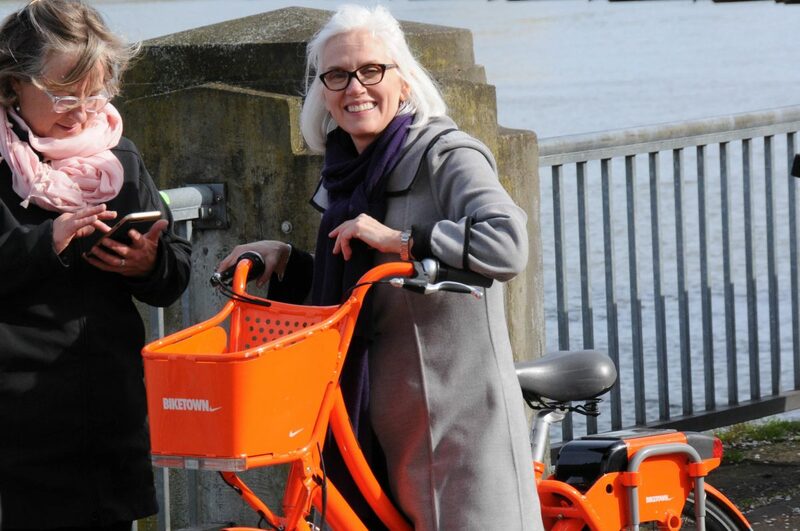 When Biketown launched in July 2016, I was eager to finally have a bike share system. 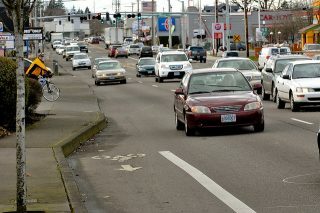 Even though Portland was late to the party, I assumed the orange bikes would a vast impact on how we get around. Inspired by the systems I’d used and seen flourish in Washington D.C. and New York City, I envisioned orange bikes everywhere. And with bikes everywhere we’d have bike riders everywhere and we’d have bike infrastructure everywhere and my dreams of a cycling city would finally be realized. Posted on November 7th, 2018 at 12:32 pm. SW Canyon Road in Beaverton. 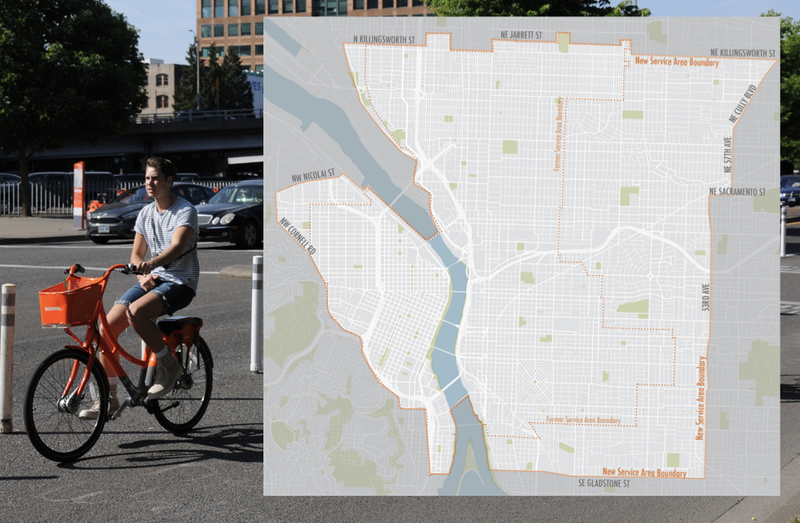 A major suburb just a few miles west of downtown Portland wants a dockless bike share system. 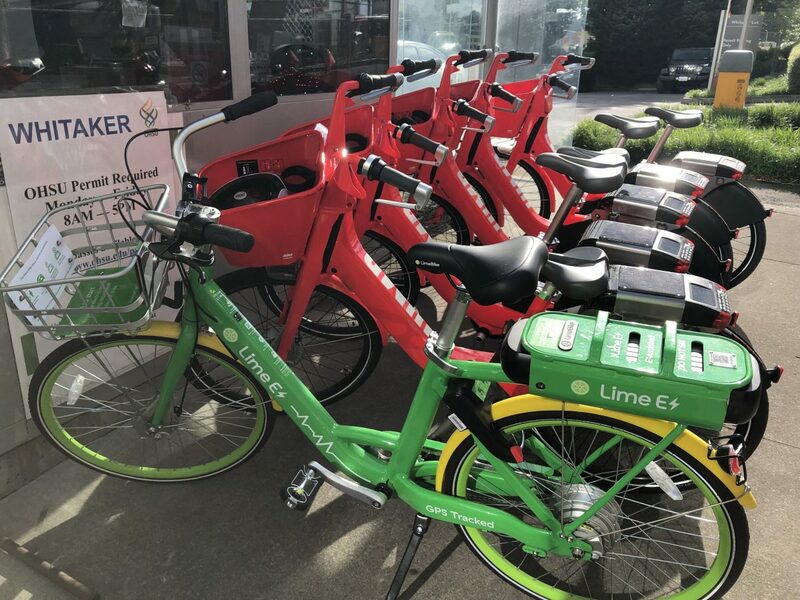 The City of Beaverton (population 100,000) has launched an official request for information (RFI) to learn more from companies that, “can provide useful and relevant information on a dockless bike share program.” Bike-share is called out in Beaverton’s 2017 Active Transportation Plan and city planners say it’s a needed weapon in their fight against congestion which is only expected to get worse as the city grows. Posted on July 19th, 2018 at 12:53 pm. 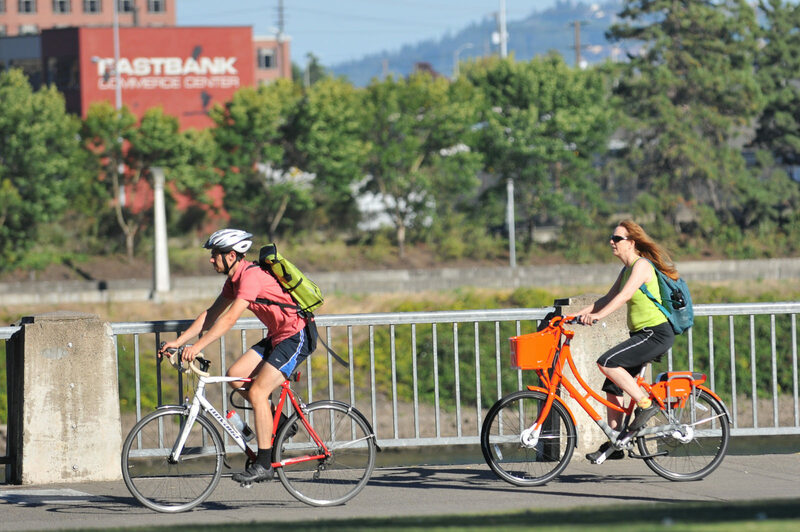 Biketown has become a fixture in Portland in two short years. 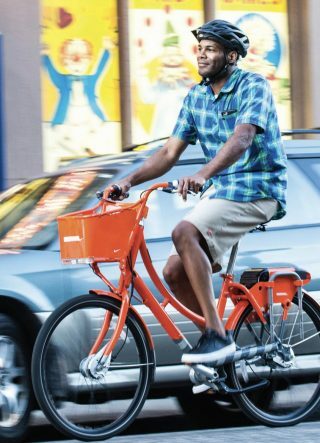 Can you believe it’s already been two years since those bright orange bikes hit the streets of Portland? 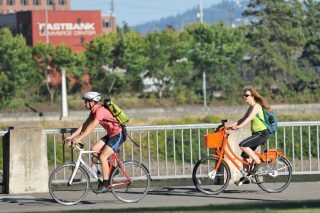 Biketown launched on July 19th, 2016 and today the City of Portland and Motivate, the system’s operator, are hosting a party to celebrate. Posted on June 26th, 2018 at 5:31 pm. E-bikes from Jump and Lime ready to roll in South Waterfront this morning. Two private bike share companies have set up tiny pilot programs to help Oregon Health and Science University (OHSU) cope with a five-week closure of the Aerial Tram. Posted on June 1st, 2018 at 11:23 am. Portland’s bike share system is now managed by Lyft while it uses bikes and technology owned by Uber. On the same day Biketown launches a major service area expansion and host of other changes, Lyft is finalizing a $250 million deal to acquire Motivate, Inc. — the company that operates Portland’s bike share system. The deal has potentially huge implications for the future of not only bike share in Portland, but the sharing of all types of last-mile solutions including bikes, electric-bikes, and “micro-mobility” vehicles like electric scooters. It’s also sort of an awkward mess. Here’s why: The bright orange bikes Motivate uses in the Biketown system were designed and made by a company known as Social Bicycles, which was re-launched as Jump Bikes in January. Then in April, Jump was acquired by Uber, Lyft’s main rival. That means Portland’s bike share system is now managed by Lyft while it uses bikes and technology owned by Uber. What could possibly go wrong? Posted on May 31st, 2018 at 1:42 pm. You can now Biketown in the 50s. 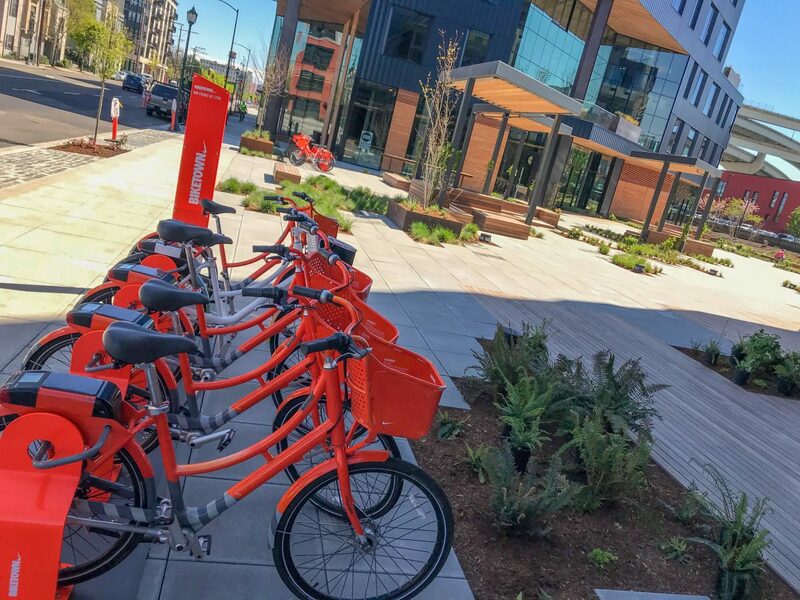 Aiming to make the service easier and cheaper to use, the City of Portland has announced that Biketown will expand eastward, have more payment options, and will no longer charge a $2 fee (to annual members) for parking outside a designated rack. Posted on May 31st, 2018 at 8:57 am. One of two Biketown parking areas in the Field Office plaza on NW Front Avenue. It’s usually a good sign when the private sector invests in a city-run transportation program. Such is the case with the new Biketown station at the new Field Office in northwest Portland. Believing that access to bike share is an asset for their tenants and neighbors, the developers of a pair of new office buildings on NW Front/Naito between 15th and 17th have ponied up for a station and 15 bikes. Posted on March 30th, 2018 at 2:50 pm. Rolling on SW Stark yesterday with LimeBike’s Chief Program Officer Scott Kubly. Here’s my predication: It’s not a matter of if Portland will get dockless bikes, it’s a matter of when. 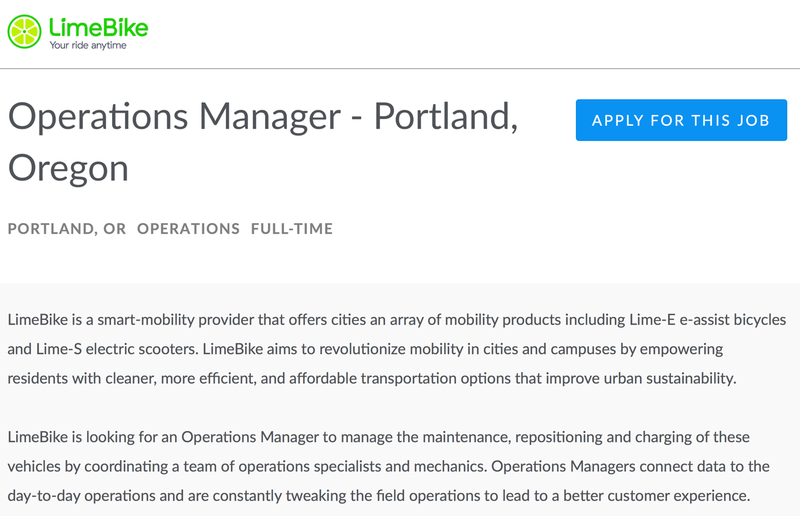 Why is LimeBike hiring a full-time operations manager in Portland? Posted on March 26th, 2018 at 11:07 am. Is Portland is about to get a dockless bike share system? There’s been no public announcement, and I don’t have a response from the City of Portland yet, but hiring a full-time manager sure seems like a precursor to doing business. Either way, if LimeBike is coming to Portland it would not be a huge surprise. 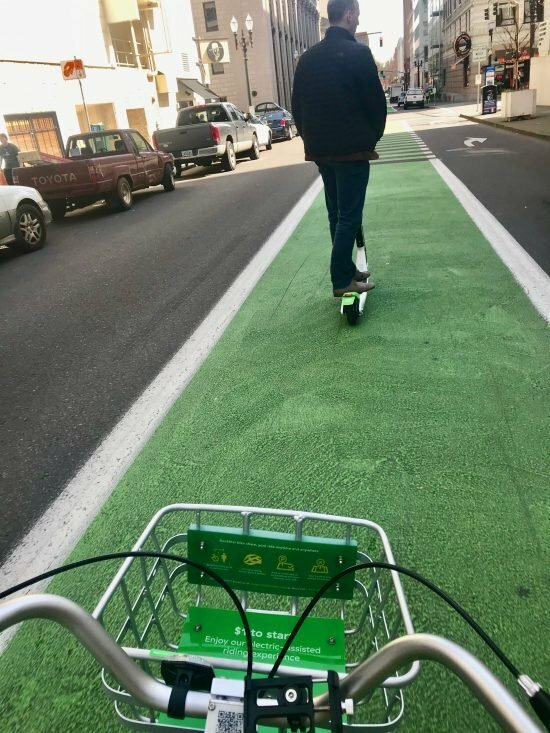 As we shared back in January, Portland Bureau of Transportation staffers took a field trip up to Seattle to test dockless bikes — with LimeBike being one of them. 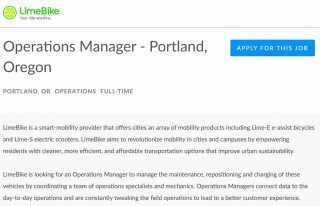 There’s also a personal connection between Portland and LimeBike: the company’s Chief Program Officer is Scott Kubly. Kubly and PBOT Director Leah Treat are former colleagues who worked together in Chicago as deputies under Chicago DOT Director Gabe Klein. Kubly resigned from Seattle’s top transportation job in December and was hired by LimeBike earlier this month to handle business development and government relations.